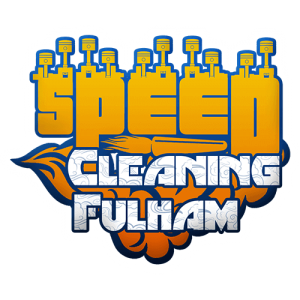 We at Speed Cleaning Fulham take sanitation tasks we have been assigned to very seriously. Over the years we have managed to build a very solid reputation for ourselves as being capable of handling tasks of various scale and nature with precision and diligence that are unmatched by any other contractor who is currently operating in the field. That is why people trust us and we enjoy an ever-expanding client base that challenges us with carpet and upholstery cleaning, regular domestic sanitation and any other job in the field that requires professionalism and serious attitude. We have created our firm several years back. At first we have been just a small, locally owned business run by just a few enthusiasts, but today – after much hard work and dedication to our craft – we have managed to build one of the largest and most trustworthy professional carpet cleaning and domestic sanitation companies in Fulham. Our clients have voted us the best in the business. It is a source of great pride that we have managed to earn their trust and have every intention to do whatever is necessary to live up to our reputation in the future as well. Call us and see for yourself. Joining the large group of people who consider us the best Carpet Cleaning Service in Fulham and the solution to their specific needs is indeed a wise move on your part. Our trained and very carefully vetted sanitation specialists never fail to stay up to date with the latest developments in the industry. They know how to make full use of the powerful state of the art sanitation equipment that they have at their disposal, so that optimal results are achieved with minimal hassle and stress. Constant learning and improvement are at the core of our success and we never fail to demonstrate them. The sanitation services that we have the privilege to deliver to all our clients are praised for being not only efficient and very affordable but also a hundred percent eco-friendly. This is another important aspect of our operation that we are particularly proud of. We believe that by bringing the best to our clients, we also not have to forget about the planet. Doing what we do best is always our main goal, but we have also managed to bring professional cleaning services to the next level. And this is easy to see.